We say: Cena taking some time off should be good for the company in general, and we don't mean that in a malicious way—the status quo will be shaken up, stars waiting in the wings will be tried out in fresh roles, especially for Survivor Series, and hopefully this will lead to new stories being told all in all. On the other hand, we also expect merchandise sales to take some sort of hit. (We'll defer that prediction to MDJ and his Best for Business column.) The best part about this, of course, is the part where Dean Ambrose is reportedly getting a push. It's weird that it isn't Roman Reigns, who they've been advocating earlier this year, but we'll take what we can get—and we like this. We say: Ah, the obligatory "grass is green" piece of dirt. Why anyone would think Vince would give up the reins while he's still breathing is beyond us. We will, however, take this opportunity to say again that Vince should give up the reins. What do you think? 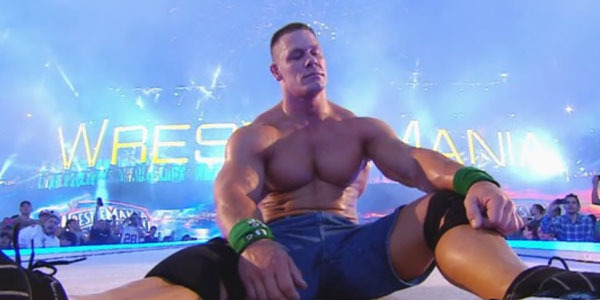 Are you happy that Cena is taking time off? Do you want to see Dean Ambrose pushed in his place, or do you want to see someone else? Let us know what you think in the comments!